In active systems, water or a heat transfer fluid is pumped through the collectors. These are usually more expensive and a little less efficient than passive systems, particularly if antifreeze measures are required. Additionally, active systems are more difficult to retrofit in houses, especially where there is no basement, because space is required for the additional equipment, such as the hot water cylinder. Five types of systems belong in this category: direct circulation systems, indirect water heating systems, air systems, heat pump systems, and pool heating systems. Before giving the details of these systems, the optimum flow rate is examined. 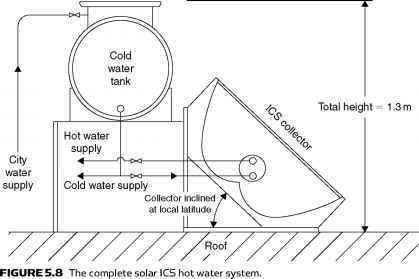 High flow rates have been used in pumped circulation solar water heaters to improve the heat removal factor, FR, and thus maximize the collector efficiency. 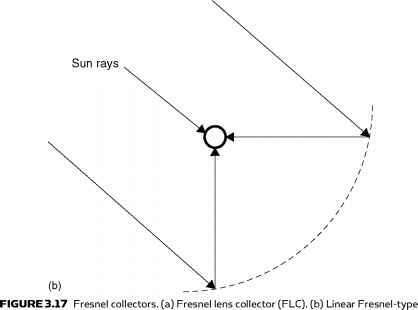 If the complete system performance is considered, however, rather than the collector as an isolated element of the system, it is found that the solar fraction can be increased if a low flow rate through the collector and a thermally stratified tank are used. Stratification can also be promoted by the use of flow diffusers in the tank and collector loop heat exchangers; for maximum effect, however, it is necessary to combine these features with low flow rate. the ratio of outer to inner diameter of the insulation. Additionally, low-flow systems can use very small-diameter collector loop piping, and as a result, flexible annealed copper tubes can be used, which are much easier to install. In this case, the flexible pipe can be hand-bent to change the direction without the need for sharp bends, which lead to higher pressure drop. According to Duff (1996), the flow in the collector loop should be in the range of 0.2-0.4 L/min-m2 of collector aperture area. The effect of low flow rate is examined in Chapter 4, Section 4.1.1. In effect, the penalty for low flow rate is a reduction in collector efficiency due to higher collector temperature rise for a given inlet temperature. For example, for a reduction from 0.9 L/min-m2 to 0.3 L/min-m2, the efficiency is reduced by about 6%; however, the reduction of the inlet temperature to the collectors because of the improved stratification in the tank more than compensates for the loss of collector efficiency. 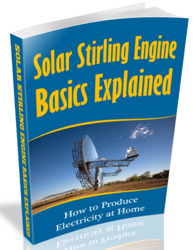 The pumps required for most of the active systems are low static head centrifugal (also called circulators), which for small domestic applications use 30-50 W of electrical power to work.